As you receive this email, I am just returning from a trip to Asheville with my wonderful bride to celebrate our ten-year anniversary. If I had only known ten years ago the fun, depth, pain and hard work we would both go through. I am appreciative to have the best business consultant, companion, parenting teammate and companion in life I could find. No, the trip to France for our ten-year anniversary that I naively promised 10 years ago did not occur but a nice glass of French wine in Asheville was awesome. I am looking forward to cheering her on for the Boston Marathon as she was just officially accepted. I guess I have become Lila is well into 1st grade and the ability to spell things in front of her is out the window. She is taking piano lessons, loving school, losing teeth, becoming brainwashed very quickly into a UNC football fan by her father and beginning to ask some of the tougher questions about life that I happily defer to her mother on. Amelia has surprised us all by waiting until now to have her first broken arm. While not a fan of her “casket,” the big girls in the neighborhood coming over to sign it seemed to smooth things over and the broken arm has not slowed her down one bit. Her as a matter of fact way of telling us about how the world works may be my lottery ticket in life if I sold the rights to a reality show. “The World According To Amelia” has a good ring I think. At the advice of a consultant who said I needed a new hobby, I have really gotten into building a tree house. Trips to Lowes with the dog after the kids are down has become a ritual at least a couple nights a week and I have burnt through quite a few head lamp batteries and a few choice words as I figure out the basics of wood work. It is not a Treehouse Masters structure, but not bad for an amateur. I am excited to introduce two new members to our team. Carolyn Finick joined us September 14th. She comes to us from a larger firm and has a lot of industry experience. As our new office manager, you will definitely be hearing from her. She has a strong background in all of the software we use and her addition is a huge step for us. Kacie Bull has also joined us in an administrative capacity. Kacie comes to us through UNCG’s MBA program. She is a former teacher and is working towards her MBA and is part time with us. These changes are part of a transition we are making to provide better service in more timely manor. I know you will find working with each of them as pleasant and fun as much as I have. Moving forward, we will implement a lot more structured framework to service and regularly review. To learn more about our new improved team, please click here. If you have not already done so, please connect via LinkedIn or Twitter at @mattloganinc or like my page on Facebook where you will find timely articles and regular TV interviews. While I am cautious not to overwhelm you with emails I do post regularly on these outlets and it allows you to receive information from time to time that could be helpful for you and your family. We have also changed the formatting for our quarterly newsletter, so be sure to keep an eye out. A new blog added to the website has been fun to write and I will be adding our newsletters as well. Quarterly statements from investment accounts that have not been reviewed in some time have prompted a lot of calls from people finally getting around to their personal financial situations. If you have friends, family or coworkers looking for assistance, we are always happy to help. We have consolidated our online account access through E-money. To access your accounts, click here. If you have never accessed your accounts online, send me an email and I will make sure that full instructions are emailed to you so that you can be set up. The screenshot below will show you a sample of how the system works. While the setup has taken some time, clients using the system have had wonderful reviews. The system really helps me advise you in a more effective manor by allowing me to see your whole financial picture and craft a plan to fit your needs. I have included a sample of how the entry page looks for you to see. My ten-month search of junk yards across the US has been my part time hobby as of late and I have finally gotten hold of the piece to fix the door. 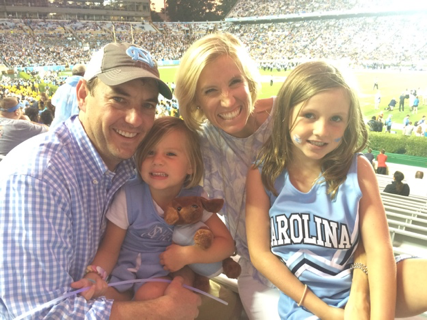 It has been to a football game with my kids and some of their friends, the Goat Lady Dairy, a winery tour, a golf trip to Primland and even the famous Chef and Farmer Restaurant in Kinston, NC. It has maintained a heck of a social schedule. The best part is that in just the past six months, it has raised over $5000 for local non-profits. If you are arranging a charity auction I would love to donate it to raise even more for community non profits so don’t hesitate to reach out. Do You Get Emotional About Money?